Puglia: beaches, UNESCO sites and wonderful landscapes. Meeting of participants, accommodation on GT bus and departure for Puglia. 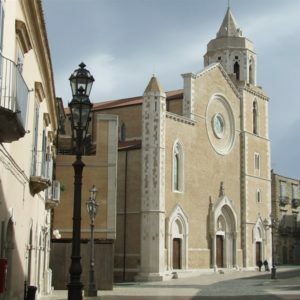 Stop along the route to Lucera (Foggia) for the visit of: the excavations, the Sveva Angioina fortress, the Cathedral Basilica St. Maria Assunta, the Sanctuary of St. Francesco Antonio Fasani. Lunch. Continuation of the visit to the Castel del Monte, an imposing and enigmatic manor, a famous medieval structure with an octagonal plan. Continuation of the trip to the hotel, accommodation in the evening, dinner and overnight stay. Breakfast at hotel and departure for the excursion to the Castellana Caves which mark the path of an ancient underground river; the caves form a great speleological complex, the most beautiful today known in Italy. Lunch. 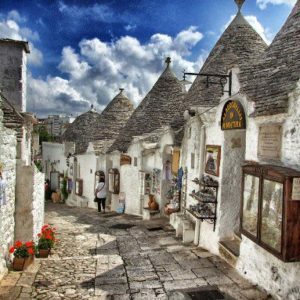 In the afternoon visit of Alberobello and walk through the characteristic artisan shops located in the single trulli. Later visit to the Church of St. Antonio. At the end return to the hotel, dinner and overnight stay. Breakfast at hotel. 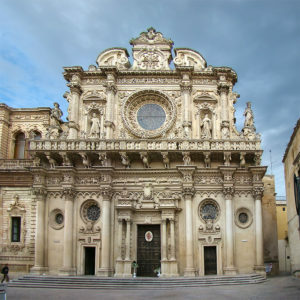 In the morning visit of Lecce, a city of mostly Baroque imprint, where you will be enchanted by the visual effect of the Pietra Leccese, a golden stone used for the construction of the ancient town. Sightseeing: Piazza Duomo, the amphitheater and the Castle. Lunch. In the afternoon transfer to Otranto, the pearl of Salento. Visit to the historic city center, surrounded by the ancient defensive walls: the Cathedral, the Bishop's Palace, the Church of St. Croce, the castle and the Cathedral, located in the heart of Otranto. In the evening, return to the hotel, dinner and overnight stay. Breakfast at hotel, release of the reserved rooms and departure for the return. 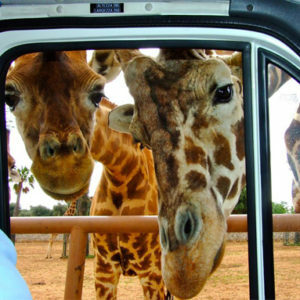 Stop in Fasano for the visit of the Safari Zoo, which with its 140 hectares of total extension, houses numerous districts, from the strictly zoological ones dedicated to the animals of the five continents to the more playful ones of the Fasanolandia amusement park. Lunch and transfer to the airport.